Don’t you hate when you’re in a sports bar and you can’t get the game you want? Or if you’re in a restaurant and the channel selection is positively obnoxious? You ask someone to change the channel, but it doesn’t seem like it’s going to happen. All the while you’re stuck watching two teams you’ve never heard of play a sport you don’t care about, or even worse watching some infomercial or opinion program. Let’s get things straight here, when you’re in a bar or restaurant, the stuff there is private property. We don’t think you should touch anything that doesn’t belong to you and the management has the right to ask you to leave. But, for example, you could be in a waiting room and the person at the desk could tell you that they lost their remote. That’s a little more legitimate, right? The simple truth is that most DIRECTV receivers, even those used in business, use the same codes. In fact they are the same codes that are probably on your DIRECTV receiver right now. Sure, some places take the time to switch receivers to RF or they use a matrix switcher, but if you’re somewhere and you see the receiver sitting under the TV, chances are that any DIRECTV remote would change the channel and stop your suffering. Hey, we’re not saying that you should carry around a remote in your car or anything, and we can’t say enough that you should never tamper with someone else’s stuff without their permission, but every so often it’s nice to have… options. Know what I mean? 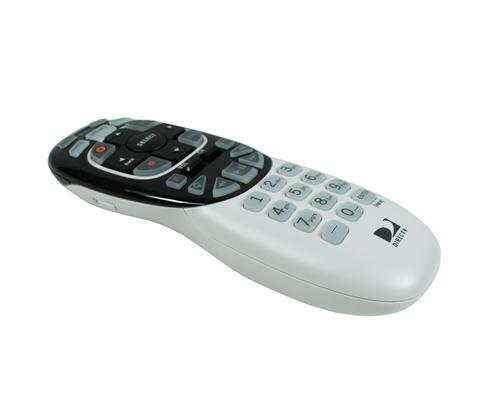 Oh, by the way, DIRECTV remotes are available at Solid Signal.